The College of Engineering at the University of Georgia will become a recognized Thought Leader for 21st century engineering programs that integrate research, service, and teaching missions through a consistent focus on solutions that make a positive difference in people’s lives. Create a vibrant environment for learning, discovery, and innovation that relies on teamwork, leadership, and effective communication. Pursue bold, collaborative research to identify and solve the challenges of our time. These efforts are motivated by our resolve to help make a purposeful and rounded contribution to help bring about a more capable, responsible and resilient global society. 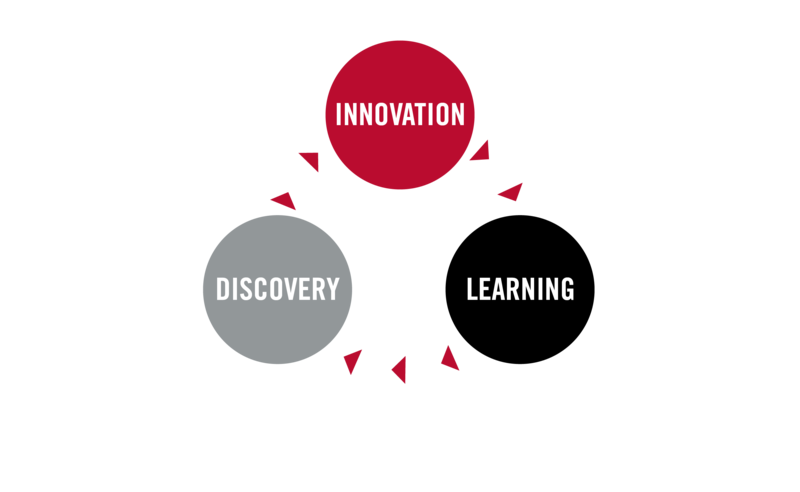 Our college values the creation of communities of learning, discovery and innovation. The mission, vision, core values and foundational elements for the college were adopted by the dean's office based on the input of the strategic planning working group, spring 2017.